Low Yat Group’s 2,670-acre Bandar Tasik Puteri township in Rawang. KUALA LUMPUR: Property prices in suburban areas in the Klang Valley may be stable in the next two years, as there would be a lot of supply to cater to the demand. 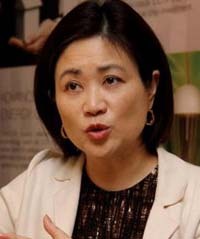 Low Yat Group executive director Low Su-Ming said she believed that “prices will be holding the way they are because there is more supply coming up in the northern and southern corridors” and that developers were already branching out to areas beyond the first tier locations. “I don't think there will be an acceleration unless the development is prime but having said that, construction cost and land prices will not come down,” she told StarBiz. Low said that while the domestic demand for properties was varied, there was unwavering demand for landed property among Malaysians. Whether prices would appreciate and at what rate, Low maintained this will depend on the developers' distinctive concepts and product pricing. The Low Yat Group has a mid-market 2,670-acre township development in Bandar Tasik Puteri, Rawang that is 50% completed with a 50,000 population. Low said the township has become more appealing now as more infrastructures have been introduced to the area, notably highways that shortened the time it took to travel into the city centre. “There is a choice (for Malaysians). That's the beauty of Klang Valley. You can own an inner-city dwelling yet live 20 minutes away and have a huge mansion of your dreams,” she said, noting that it was something intense, highly developed cities like Hong Kong and Singapore could not offer. “We have a young and growing population. In the Klang Valley, we have a great deal of opportunities to make our city into a well-developed and sustainable city by having the various townships linked up through infrastructures like highways,” she said. Of a recent report about rising prices in Penang, Low said that an effective masterplan for sustainable development was needed to overcome concerns from Penang's population. 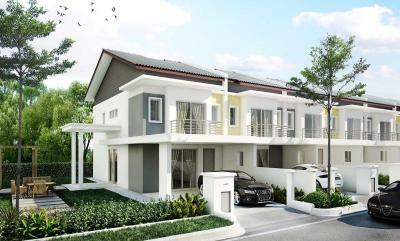 “Penang is undergoing a transition. In the next three to five years, it should join the ranks of world class beach and tourist destinations like Bali, Phuket, Singapore and Hong Kong. “It will also become a choice destination for high net worth individuals who come here here the Malaysia My Second Home programme,” she said, adding that this scenario should be perceived positively. “As long as guidelines are in place and administered efficiently, the island will gain from better quality projects that are designed by internationally acclaimed architects and master planners,” she said. Low Yat has been in the Penang property scene since the late 1970s building resorts, hotels and condominiums. Currently, it has an upcoming five-star hotel project with 382 rooms along Northern Road on the island. The project is scheduled to commence construction in the first quarter of next year.